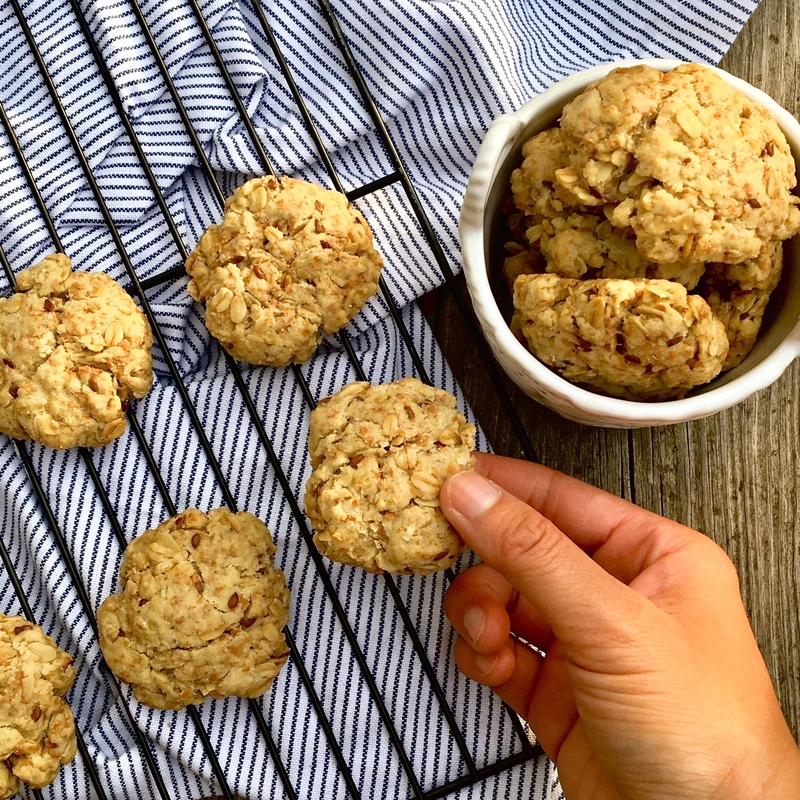 You are at Home Recipes Bone Broth Oatmeal Cookies! You must be saying, “what the heck? Bone broth in cookies? I think Joyce lost her mind! !” I will admit, it must sound crazy! But I am not using traditional bone broth in the liquid form, I am using a bone broth protein powder from Prairie Naturals . It comes in two flavours, either the beef or chicken. I used the beef one but the powder actually have no taste so you can add it into your smoothies, soups, sauces and in this case, even your cookies! So why add bone broth powder to your cookies, you may be asking! Well I love cookies and I want to make them as good for me as they can be! Prairie Naturals Bone Broth has protein, no sugar, no carbs, collagen to build some hair and skin, it is good for your gut, good for your immune system….just to name a few good reasons! Who doesn’t want to eat a cookie that will give you nice hair, right? Melt butter in microwave and add bone broth powder in. Whisk until the powder have dissolved.